The origin of Taijiquan is a controversial issue. Some trace Taijiquan to the Chen family in the 1600's and others trace the art further back to Master Zhang, San-Feng. Both are correct. And neither of them created Taijiquan. The origin of Taijiquan is a contentious and controversial issue. Some trace Taijiquan to the Chen family in the 1600's and others trace the art further back to its origins with the Buddhist/Daoist (Taoist) internal arts and Master Zhang, San-Feng. Both are correct. And neither of them created Taijiquan. We will delve into the existing historical records and archeological findings to attempt to clarify this divisive issue. Most articles on this issue discuss only the past 500 years, but I feel it is essential to understand the pre-historical roots of Taijiquan. I write this as an objective seeker of the truth, and I am hesitant to cling too tightly to popular opinions. 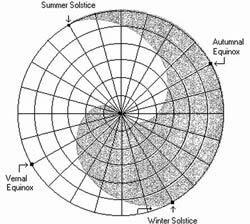 We will piece together the clearest possible understanding based on the available factual evidence. I aim to acknowledge and honor the profound achievements of ancient Chinese culture, and I write with the utmost respect for Taiji philosophy. Some choose to claim Zhang never existed, and that the internal arts are only a few hundred years old. These researchers may be frustrated by the confusing mythology around Zhang and are perhaps unaware of the long history of Yangsheng 養生 ("principles of nourishing life") and neigong 內功 ("internal skill") that pre-date Taijiquan. These are the essential components that make Taijiquan an "internal" art. The history of Zhang, San-Feng has also been obscured by many revisionist legends and political battles to claim the origin of Taijiquan. Zhang's existence is verified by historical records, which talk of him as living between the late Song Dynasty and early Ming, born in 1242 and living as late as the 1400's. He is described in various sources as a highly-accomplished and well-respected Daoist practitioner of internal alchemy (nei dan qigong). Only a few records mention his sword and his archery, and the infamous epitaph written by Huang, Zhong-Xi is sometimes considered one of the only links between Zhang and the martial arts. It is important to realize that it was very common for all people in ancient China to be martial artists, as it was a violent time with many local bandits, warlords, and foreign invaders to encounter in one's travels. This is especially relevant for Zhang in light of the Daoist tradition of traveling alone from one monastery to another to study. Also, it is very common in Daoist and Buddhist culture to keep careful records of all of the venerable masters of the teaching. Though not widely known to layperson-society, many of these exist regarding Zhang and his meditative attainment and healing abilities. (Chanxuan xianjiaobian 禪玄顯教編, the Collected Documents of Buddhism and Daoism, (Yang Pu) Jionghua ji 瓊花集, the Collection of Jade Flower, (Cao Rui) Gujin tushu jicheng 古今圖書集成, the Great Collection of Ancient and Present Books (Gujin tushu), Qingxi xiabi 清溪暇筆, the Casual Writings of the Clear Stream, (Yao Fu) Baishi huibian 稗史匯編, a Collection of Anecdotes, and (Wang Qi) Shaanxi tongzhi 陜西通志, a Cohesive History of Shaanxi (Jia Hanfu) to name a few). Several tribute poems about Zhang also exist from the 1400's AD. The most coherent biography of Zhang San-Feng is the Dayue taihe shanzhi 大岳太和山志, or the Great Taihe Mountain History edited by Ren Ziyuan 任自垣 in 1431. There are a number of other sources that also indicate Zhang San-Feng’s existence. Huangming enming shilu 皇明恩命世錄, the Records of the Imperial Bestowed Orders by the Emperors by Zhang Yuchu 張宇初; Chanxuan xianjiaobian 禪玄顯教編, the Collected Documents of Buddhism and Daoism by Yang Pu 楊溥; Daming yitongzhi xianshi 大明一統志, the Cohesive History of the Great Ming by Li Xian 李賢 in 1461; Zhang San-Feng yiji ji 張三丰遺跡記, “the Monument of Zhang San-Feng’s Legends” in the Daoist Jintai Temple of Baoji County dated in 1462; Guizhou tujing xinzhi 貴州圖經新志, the New Annuls of Charts and Records of Guizhou; (Shen Yang) Guizhou tongzhi 貴州通志, or a Cohesive History of Guizhou in 1597 (Wang Shuxian). This was written in 1294 AD, according to Yunshui ji 雲水集, or the Collection of Cloud and Water, which is a poem collection attributed to Zhang, San-Feng. It indicates Zhang was born in 1247, his age was 48, and he may have not yet received true transmission of the Dao. Zhang left many written works, but few have yet been translated to English. 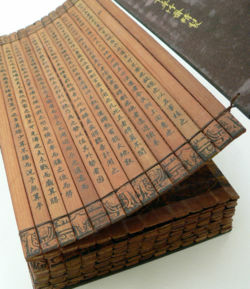 These were compiled by Li Xiyue in the Qing Dynasty into a book entitled the "Complete Works of Gentleman Zhang Sanfeng", which is preserved in the "Selections of the Daoist Canon". According to Baoji jingtaiguan bi 寶雞金臺觀碑, or “Baoji Jingtai Temple Monument,” Xiangfu xianzhi 祥符縣志, or Xiangfu County Annuls, (Li Tongheng) Shenjing tongzhi 盛京通志, or a Cohesive History of Shengjing, (E Gui) Chenzhou congzhi 郴州總志, or a Cohesive History of Chenzhou, (Chen Zhao) Zhang was seen at the end year of tianshun 天順 reign (1457-1464). This time frame agrees with the time “Imperial Bestowed Zhang Sanfeng Bronze Inscription” was granted in 1459. This late supposed sighting is one of the reasons that Zhang is said to have lived so long. The official Ming History describes that Zhang San-Feng was an eccentric but highly achieved alchemist, admired by Imperials and the general populace. He was summoned by the first Ming emperor Zhu Yuanzhang 朱元章 (1328-1398) in 1391, by the third emperor Zhudi 朱棣 (1360-1424) in 1412, and by the sixth Ming emperor Zhu Qizhen 朱祁鎮 (1427-1464) for his Imperial Bronze inscription in 1459. (Zhang Tingyu) But, he never was found when summoned. Sometime during the 1300's Zhang became a fully-realized Daoist "immortal", meaning enlightened. And if we are to believe that he was the same person making appearances in these documents, he attained longevity through his qigong practice to live over 200 years. It is possible that he lived a more average lifespan until the early-to-mid 1300's, and that stories about him continued to spread for the following century. He was a monk who was deeply versed in Daoism, Confucianism, and Buddhism. In his "On the Great Dao" (Dadao Lun), he stated that these religions had the same origin and they share the tendency to develop one's moral character and "cultivate the Dao." He practiced internal martial arts at Wudang Mountain with his teacher Huo Long Zhen Ren. Later in his life, legend has it that after witnessing the famed "battle between snake and crane", Zhang developed a martial art style that would work against faster, younger opponents, with four basic principles: use calm against action, soft against hard, slow against fast, and single against a group. However, Zhang is only one of the thousands of monks who practiced the internal arts at Wudang, and the martial arts there were most probably not of his creation alone. The concepts of softness, listening, and sticking were discussed in Yu Daoyou's Sword Classic (Jianjing) from about 1550 AD. It is clear that these principles that are now associated with Taijiquan were part of some martial art style that preceded the time of Chen, Wang-ting.